What if a highly cerebral alien race had their planet destroyed in a crazed act of vengeance? 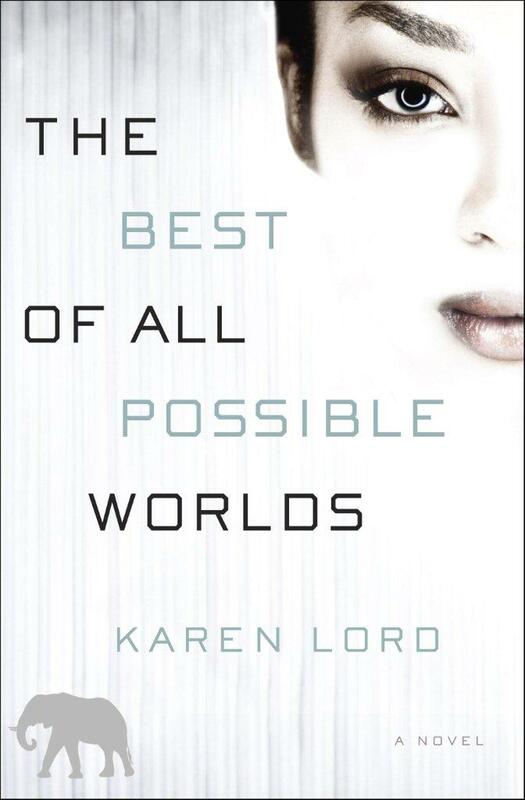 Any science fiction fan cracking open Karen Lord’s The Best of All Possible Worlds would be justified in asking, “Where have I seen this before?” Yet, despite the similarity of the opening conceit to J.J. Abrams’ “Star Trek” movie, the novel owes a clearer debt to the uninhibited idealism of the original series. Rather than revenge, the bereaved Sadiri people seek a new home on Cygnus Beta, a planet where most are descended from immigrants and refugees. Even to infrequent science fiction readers, the culture of Cygnus Beta and the language of the Cygnian narrator will feel familiar. Second assistant biotechnician Grace Delarua is the brown-eyed, brown-haired, brown-skinned descendant of humanoid species that has left her with an open, chatty demeanor, a commitment to justice and the scientific method, and strong opinions about the pitfalls of racial purity. When Delarua meets Dllenahkh (pronounced with a Zulu “dl” and a Scots “ch”), Councillor of the all-male Sadiri settlement, she questions his people’s desire to mimetically propagate their race and culture, but is ultimately drawn into his quest for the taSadiri, long-ago immigrants from his home-world to Cygnus Beta. Dllenahkh strives to keep his mind clear for the task, but finds himself attracted to the impulsive (and racially mixed) Delarua. Their slow courtship plays out against a backdrop of ethically questionable cultures that will try both of their convictions about right and wrong. The Best of All Possible Worlds seems like a departure from Lord’s award-winning debut novel Redemption in Indigo, a fantasy novel based on a Senegalese folk tale. Where her first novel blended Anansi tales and magical realism, Lord’s second novel is a deft mind-meld of Ursula K. Le Guin’s anthropology and Gene Roddenberry’s idealistic humanism. Both novels, however, feature an engaging female voice, integrated episodic structure, and embedded social sensibility. Lord’s portrayal of societies in The Best of All Possible Worlds is an incredibly insightful look at humans as social animals. Her primary innovation is to bring attention to a facet of human physiological makeup that hard science fiction too often overlooks—the emotional. While she is not the first to depict empaths or telepaths, Lord’s treatment of the emotional as scientific opens a giant wormhole in the science fiction universe. Her rendition of “psionic abilities” complicates what it means to truly know an individual or society and uniquely addresses questions on the ethics of charismatic influence. The abilities that Lord’s characters possess feel more like amplified versions of human characteristics than superpowers. Infectious laughter, for example, is one of Delarua’s psionic traits. The cultural dimensions of abilities like these tie them to Sadiri racial politics, as groups that volunteer as potential inter-breeders are tested psionically as well as genetically and culturally. The issues that come along with these abilities have diverse expressions among the various groups, whether they “share” thoughts as a community or family unit, ritualize mob mentalities, or create phenotypic hierarchies. As Delarua learns more about her capabilities and those of her traveling companions, boundaries and identities must be redefined. Is it acceptable to induce your friend’s pleasure projection for your own amusement or to “read” the emotions of actors onstage for a more fulfilling experience? These are the lighter dilemmas that Delarua encounters. In Lord’s optimistic view, the pleasures of empathic pair bonding finally outweigh any mind control paranoia, and the joys of new love overshadow past grief. It is too soon to say whether Lord’s book indicates a wider turn from the recent trend of dystopian and uncertain futures, but she has introduced a fresh realm of inquiry into what truly makes us human.